- Mills Are Designed AS Direct Coupled /V-Belat To get Designed Tip Speed To Suit The Application. - Extra Large /Thick Double Ended Star Type Grinding Elements Can Be Given In Different Alternative Designs For Special Applications. We are instrumental in trading a wide gamut of Feed Premix Plant for our clients. We manufacturer complete steel rolling plants, (6" to 30") for the rolling of wire rods/ TMT/ light medium heavy sections steel. Up to 50 MT per hour production of ferrous and non ferrous metals. S.S.Engineers has always stood apart on the strong foundation ofengineering, experience and enterprise. We have indigenouslydesigned a complete sugar mill plant, meeting world class standardswith high crush rates and efficiency – the integral five / sixroller mill up to 45 x 90 size. The three state-of-art milling plants of Modern Rice & General Mills use 21st century technology from Buhler. The online inflow and outflow mechanisms are fully computerized with the help of sensors. TOYOTA TECHNO PARK INDIA PVT. 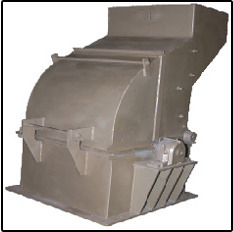 LTD.
A division of Toyota Kirloskar India Ltd.
Our company is engaged in manufacturing and exporting of hammer mill that is used in plant machinery. With the help of a fifth conveyor the screened dried fish meal is carried to the hammer mill. Here the cake is hammered to the size as required by the client and is packed in jute bags having polythene linings. Following are our products we manufacture for Rice Mill Plants. AI has toiled for a long period in building expertise in handling of hazardous chemicals like aqua regia , ferric chloride at elevated temperature around 70 degree Celsius.